P = nicholsoptions returns a list of available options for Nichols plots with default values set. You can use these options to customize the Nichols plot appearance from the command line. 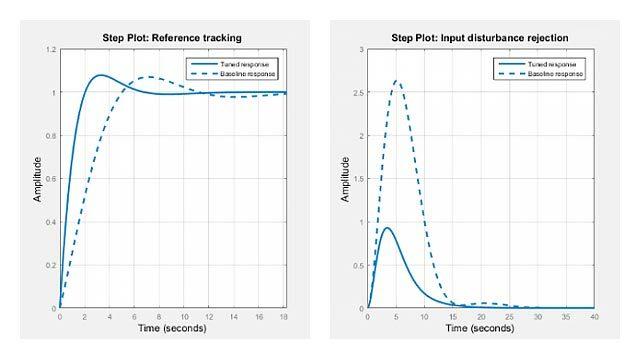 P = nicholsoptions('cstprefs') initializes the plot options with the options you selected in the Control System Toolbox™ Preferences Editor. For more information about the editor, see Toolbox Preferences Editor. This table summarizes the Nichols plot options. Specified as one of: Vector of RGB values in the range [0,1]| color shorthand such as 'k' or 'r'|'none'. InputLabels, OutputLabels Input and output label styles. Create an options set, and set the phase units and grid option. 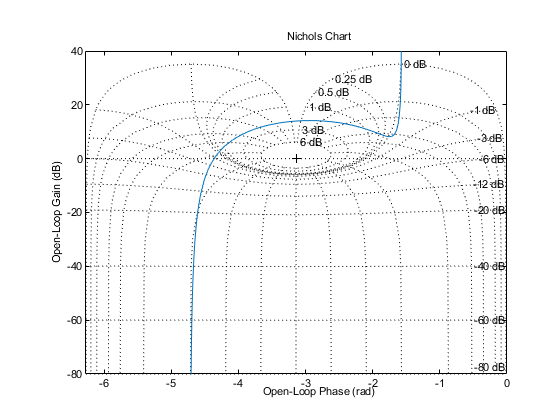 Use the options set to generate a Nichols plot. Not the phase units and grid in the plot.